One kid. One bike. One ride. Making an effort to cure Amyloidosis. Florida and Massachusetts are not close. In case you were wondering exactly how “not close” they are, they are about 1500 miles apart. It’s a pretty normal thing for high school kids to head down from New England to the sunny beaches of Florida to celebrate spring break. And it’s equally normal (and generally desired by one’s parents) to have those kids return back. What’s not normal is for the return trip to occur on a bicycle. But Stephen Wright is a young man who is doing just that. And he’s not doing it because he lost his e-ticket confirmation number or sold his return trip for some Mardi Gras beads and a Super Soaker. He’s doing it because his mother is recovering, slowly, from a rare disease called Amyloidosis, and he wants to raise money and awareness about this often fatal, condition. Me, I usually give myself a pat on the back if I remember to send flowers on Mother’s Day. Thanks, Stephen, for making me feel pretty much totally inadequate. 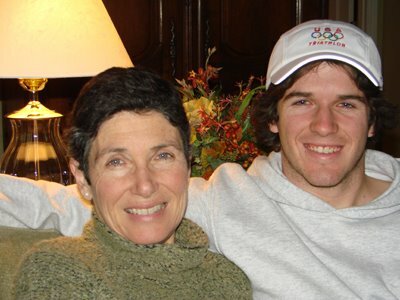 For more on Stephen’s bike ride and his mother Chris’s incredible journey back to health, check out his website, ChrisJourney.com. SW (and CW, too), you are a BAMF.